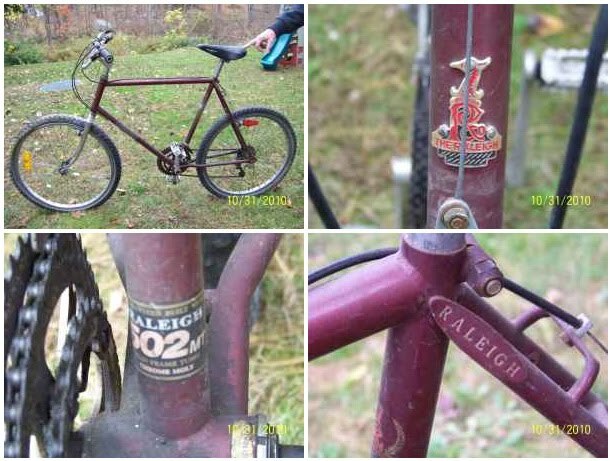 I am perusing CList the other day and I find this really nice looking Raleigh Super Course down in Wilton. 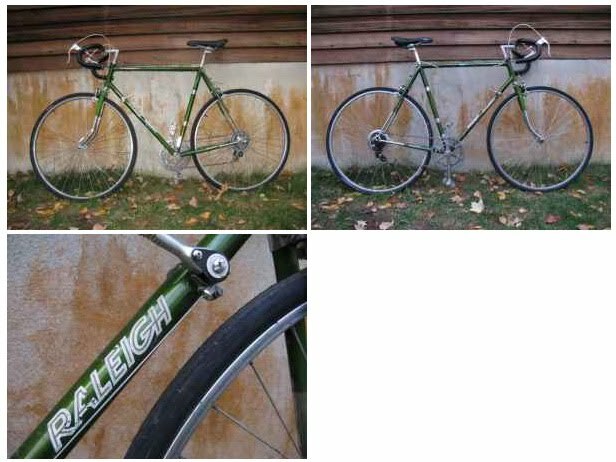 However, looking at the pictures something looked really familiar when it dawned on me that this is the same seller who bought my Super Course and was selling it again - I know this bike! Comparing that ad with this one you will notice the same foundation wall and siding of the house. While it's tempting, I don't like buying made over bikes, I would rather get them with their original components and then replace stuff myself. This Raleigh mountain bike reminds me of my first fixed gear, the Bianchi. The older versions of this frame had Bianchi stamped into the seat stays like this one. Looking through Bike Pedia last night, I think this might be a bike from 1995. This bike could be a fun rebuild project but it's not ready to ride, that's for sure. The owner got back to me with some pix last night and the only thing it has going for it right now is the frame from what I can tell and maybe a few other bits. The stem is certainly unique. I don't know what I was thinking when I sold the 'Goose. Should have kept it. Rusty spokes and those tires are throwaways but I have everything else I would need to rebuild it into a nice kid puller or winter commuter. This stem is pretty wild!